There is no doubt that Saif Ali Khan and Kareena Kapoor Khan’s baby boy is the most loved star kid of tinsel town. The netizens wait to catch a glimpse of Taimur Ali Khan and whenever he steps out, pictures of this Chote Nawab is been flooded on the internet. If you remember, last year we saw pictures of Taimur-inspired dolls been sold in Kerala. And now, the baby boy is apparently been featured on cookies too. Taimur Ali Khan Dolls are Being Sold in Kerala and This Pic is Proof that Taimur- Mania Is at It's Peak! After the dolls, WhatsApp had launched stickers based on Taimur Ali Khan and even that became a huge hit. And now, according to a report in a leading daily, Taimur-inspired cookies are being served at a confectionary. As per a report in DNA, a bakery which specializes in custom-made cookies has designed Taimur cookies and in fact, they even packed those cookies for guests at a recently held bloggers’ award night. After a Doll, Taimur Ali Khan Gets WhatsApp Stickers Bsaed On Him - View Pics. If your remember, on the sixth season of Koffee with Karan when the show’s host Karan Johar had discussed with Kareena Kapoor Khan about the Taimur-inspired dolls she said, “I am sorry to say that looks like Chucky the doll and doesn't look like Taimur Ali Khan at all. 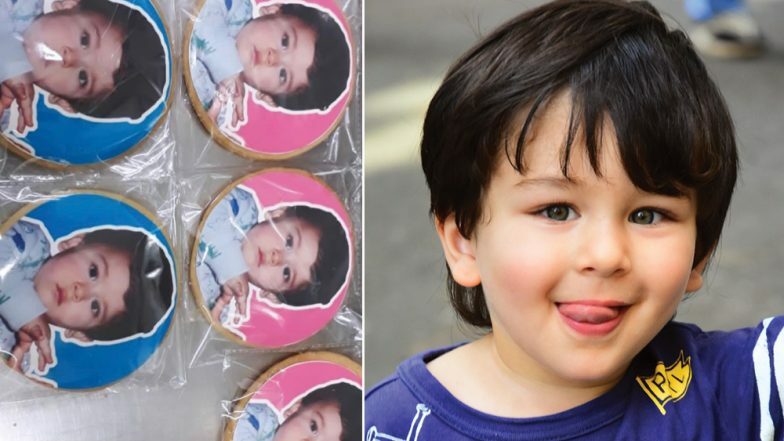 Some strange blue eyes and some scruffy hair and a bandhgala does not make him my son.” Now let’s wait and watch how Taimur’s parents reacts to their baby boy’s picture being featured on cookies.